Abuja, 13th December, 2018. The 41st Ordinary Session of the Mediation and Security Council (MSC) of the Economic Community of West African States (ECOWAS), at the ministerial level, has opened on the 13th of December 2018 in Abuja, Nigeria. Welcoming delegates to the meeting, the President of the ECOWAS Commission Jean-Claude Kassi Brou lauded the collective approach to peace and regional security as well as the strong sense of belonging to the Community demonstrated by Member States. This, he said, is in line with the needed solidarity which guides the interventions of ECOWAS particularly in the field of peace, security and stability. 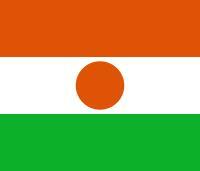 Equally underscored by President Brou, is the strong political will of the Heads of State and Government and the enduring solidarity between the Member States which he noted, are the driving force of the progress recorded so far; a pride of the community that has also earned the respect of the international community. President Brou who was flanked by Vice President, Madam Finda Koroma and the Commission’s Commissioner for Political Affairs, Peace and Security Gen Francis Béhanzin, expressed profound gratitude to Presidents Muhammadu Buhari, Nana Akufo-Addo and Alpha Condé of Nigeria, Ghana and Guinea respectively, for their commitment and availability and their tireless efforts in resolving the socio-political difficulties in Guinea Bissau and Togo. 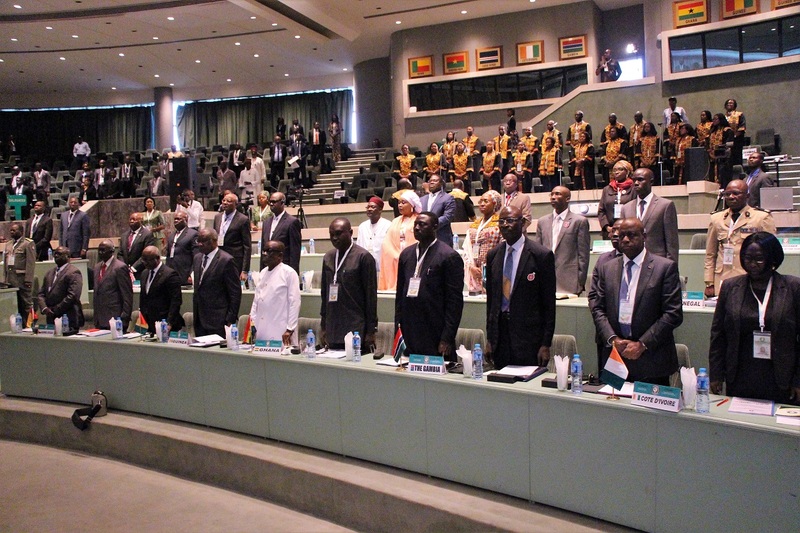 Within the framework of the exercise of the prerogatives entrusted to it by the additional Protocol on Democracy and Good Governance, the ECOWAS Commission deploys the necessary efforts to support the Member States to conduct their electoral processes in an inclusive, transparent and credible way. In this regard, President Brou charged the MSC to consider appropriate measures to prevent and limit the tensions arising from politicking and electioneering in the region while working collectively to deal with the phenomenon of terrorism. He reiterated the determination of the Commission to strengthen its working relations with the Member States in order to better identify priorities for action and articulate suitable measures to bring succour to the West African population. 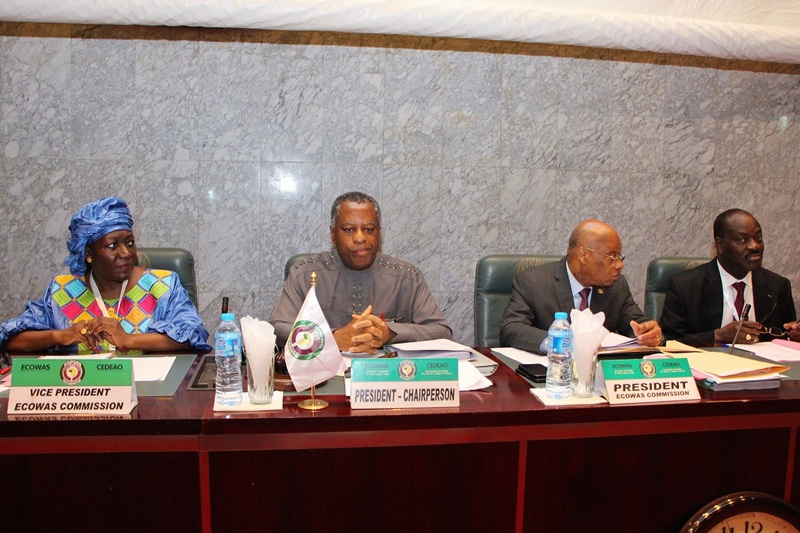 In his opening remarks, the chair of the MSC and Minister of Foreign Affairs of Nigeria, Geoffrey Onyeama, disclosed that the findings from the previous meetings of the MSC revealed that peace and security sustainability can only be achieved through the promotion of good governance and viable democracy. Continuing, he stressed that the West African region must employ measures that would lead to economic growth and development through the provision of job opportunities to the youth, transparency and accountability in governance as well as the adoption of the liberal policies that would enhance greater economic cooperation and attract foreign investment to the region. During this session, the MSC, is expected to be briefed on the political and security situation in the region. Delegates will also consider the Report of the 29th Meeting of the MSC Ambassadorial level, a memorandum of the political and humanitarian situation in the region. They will also deliberate on the status of the implementation of the National Early Warning and Response Mechanism (NEWRMs). 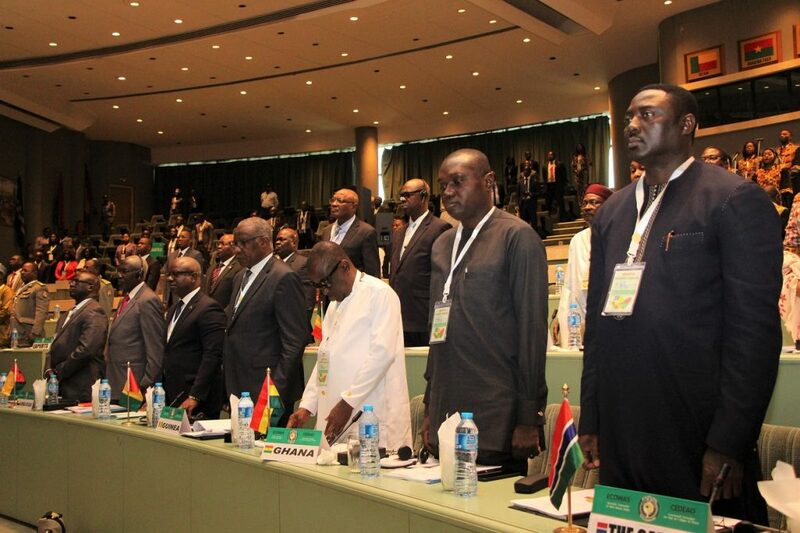 In attendance were Ministers in charge of Foreign Affairs, Defence and Security, Ministers in charge of Foreign Affairs of ECOWAS Member States, heads of ECOWAS institutions, members of the diplomatic corps and representatives of international organizations.